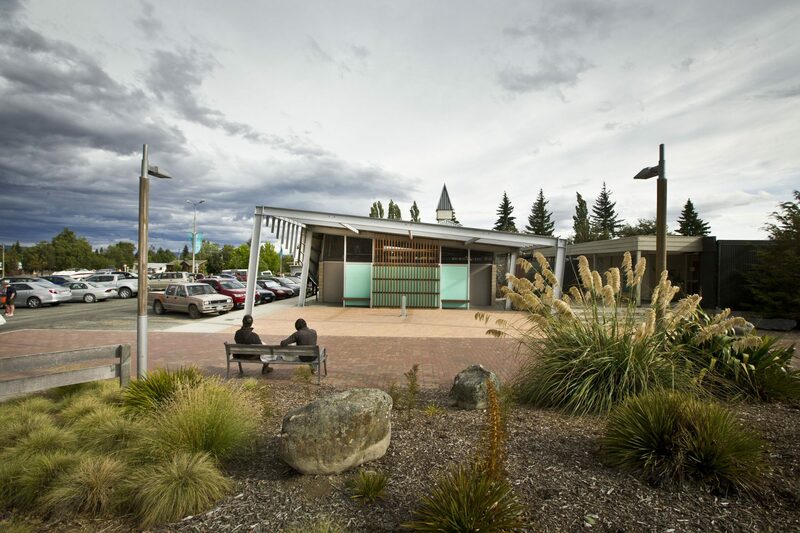 Sited in the centre of the Mackenize Country township of Twizel, this modest public building utilises exposed concrete and steel structural elements in a distinctly ‘1960’s building form to reference the massive Hydro schemes of the 1960s and 1970s around which the town was created. 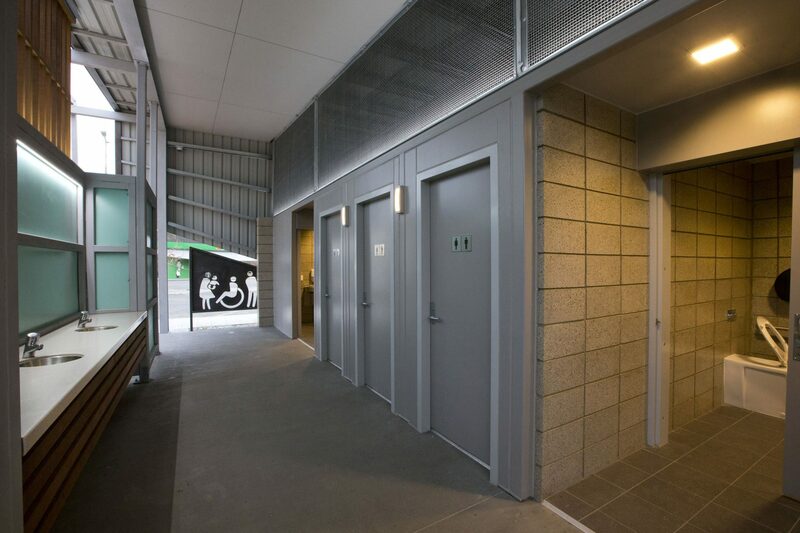 Demanding functional requirements, including hugely variable Summer and Winter weather conditions, are met through the use of durable materials and finishes and sophisticated insulation and building management systems. 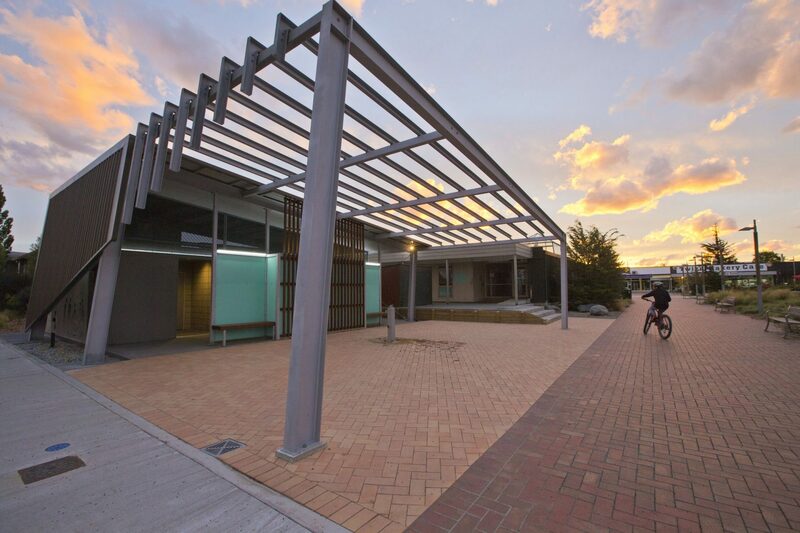 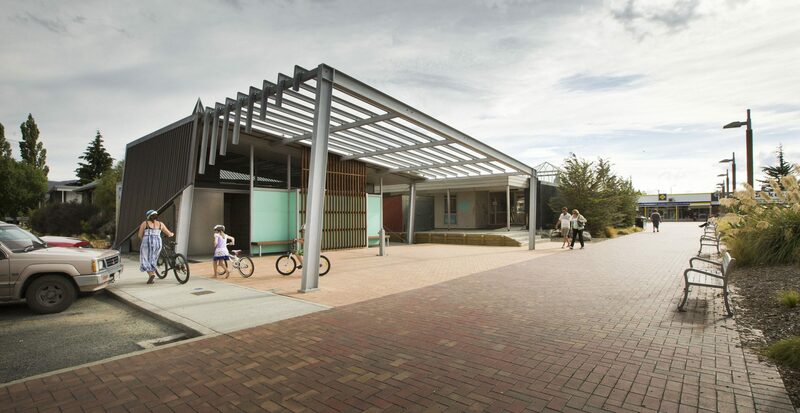 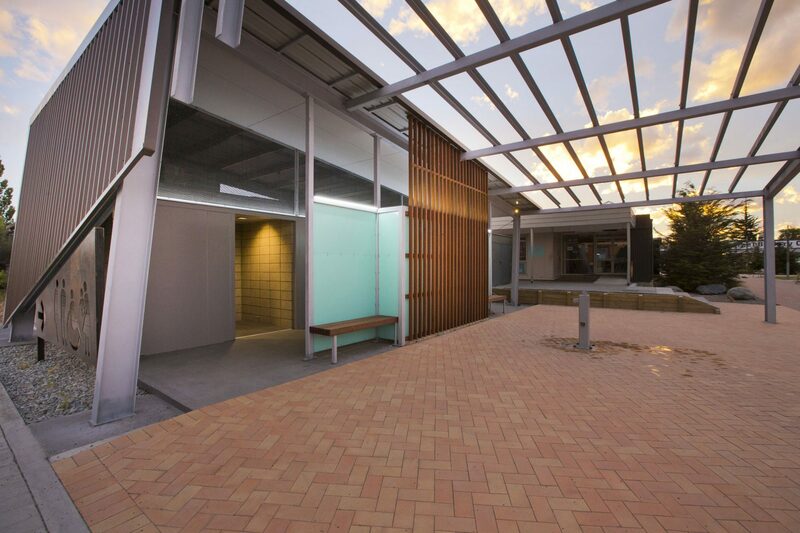 The public also enjoy new outdoor spaces which were created below a large steel framed pergola that extends the building form beyond the exterior walls.